The European Court of Human Rights has held that Hungarian police violated members of the country’s United Civil Aviation Trade Union’s right to free assembly when it blocked a protest at Budapest Ferenc Liszt airport. The 22 May ruling followed an appeal by the union against an earlier decision by the Budapest Surroundings High Court, which endorsed the police’s view that the demonstration, which was due to be held on the hard shoulder of a road leading to the airport, would restrict passengers’ access to the terminals and infringe their right to leave the country. 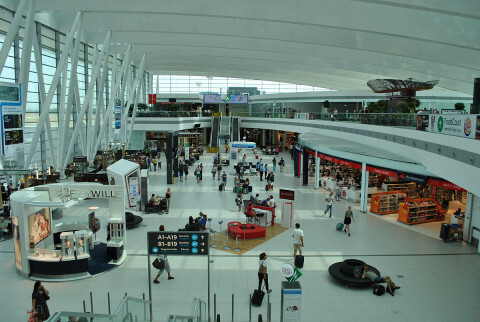 The union initially applied for authorisation to hold the protest, which was intended to draw public attention to “the precarious financial situation” facing Ferenc Liszt employees should planned salary cuts by the airport’s management company be put into effect, in October 2012. The protest was scheduled to last two hours, with between 50 and 100 employees taking part. After the police denied the authorisation, the union requested a judicial review of the decision, claiming that the police could only block the protest on traffic safety grounds if there were no alternative routes into the airport, which it said there were. The Budapest court threw out the request later the same month, citing Hungary’s 1989 Assembly Act, which empowers the police to ban events that could result in “a disproportionate hindrance of the circulation of traffic”. In Strasbourg, the union invoked article 11 of the European Convention on Human Rights, which confers the right to freedom of peaceful assembly and association, including for trade unions, without restriction other than those prescribed by national law “in the interests of national security or public safety”. The union argued that the police and the Budapest court had adopted too broad an interpretation of the Assembly Act, and claimed that the demonstrators’ right to free assembly outweighed passengers’ right to unhindered access to the airport. It added that the demonstration would have caused minimal traffic disruption, which was always to be expected to some extent during public protests and added that, because of the nature of the issues the union wished to raise, it was necessary to hold the event as close to the airport as possible. The Hungarian government responded that the ban was prescribed by national law and had been implemented to balance the right to assembly with the right to free movement. It also claimed there were no alternative routes into the airport and that the protest would have blocked access in an emergency. The Court noted that since overcrowding at public events was “fraught with danger” it wasn’t uncommon for national authorities to pace restrictions on where and when protests could be held. However, it added that it was “important for public authorities to show a certain degree of tolerance towards peaceful gatherings” so as not to deprive EU citizens of their article 11 rights and that the appropriate “degree of tolerance” should de decided on a case-by-case basis, rather than by an abstract rule. In the case of the Ferenc Liszt protest, the court found the Hungarian authorities hadn’t based their ban on the protest on an “acceptable assessment of the relevant facts.” While it said the Budapest court was right to note the possible disruption to traffic, the ECHR said it wasn’t convinced of the conclusion that a protest held on the hard shoulder would have jeopardised passengers’ access to the airport. It added that Hungary’s argument that the protest could have blocked rescue operations during an emergency was “a matter of speculation”. As such, the court head by four votes to three, that Hungary had violated article 11 and ordered it to pay the union’s costs. By five votes to two, it held that the finding of the violation itself was sufficient just satisfaction of the union’s damages. The three dissenting judges on the question of the article 11 violation submitted that the Hungarian authorities had “acted within their margin of appreciation” and had provided sufficient reasons for banning the protest. On the damages issue, two judges complained that the majority had not provided proper reasons to back up the position that the finding of a violation was enough in itself to satisfy the union’s grievances.